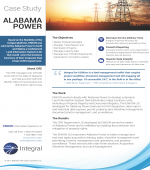 Based on the flexibility of the Integral platform, ENKON was selected by Alabama Power to build and deploy a modularized Land Information System (LIS) that would serve the business functions of their Corporate Real Estate (CRE) Department. 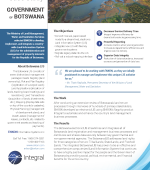 The Ministry of Land Management, Water and Sanitation Services selected ENKON to develop, implement, and integrate a country-wide Land Information System (LIS) for the administration and management of property interests for the Republic of Botswana. 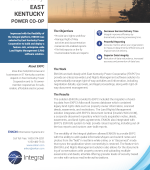 Impressed with the flexibility of the Integral platform, ENKON was selected by East Kentucky Power Cooperative to build and deploy a feature-rich, enterprise-wide Land Rights Management (LRM) software solution. 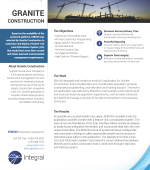 Based on the scalability of the enviroLIS platform, ENKON was selected by Granite Construction to customize and deploy a feature-rich Land Information System (LIS) that would best serve their current and future land and environmental management requirements. 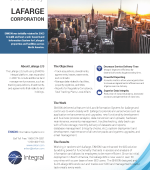 ENKON was initially retained in 2003 to build and host a web-based Land Information System for Lafarge’s properties and facilities across North America. 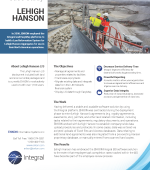 In 2006, ENKON employed the Integral and EasyMap platforms to build a Land Information System for Lehigh Hanson Aggregates for use in their North American operations. 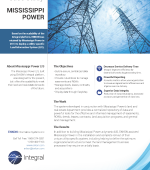 Based on the scalability of the Integral platform, ENKON was retained by Mississippi Power in 2013 to deploy a utility-specific Land Information System (LIS). 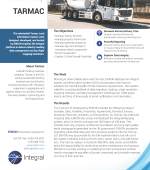 Working in close collaboration with Tarmac, ENKON deployed an Integral based Land Information System (LIS) to encompass and enhance solutions for the full breadth of their business requirements. 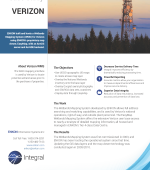 ENKON built and hosts a Wetlands Mapping System (WMS) for Verizon using ENKON’s proprietary map viewer, EasyMap, with an ArcGIS server and ArcSDE backend. 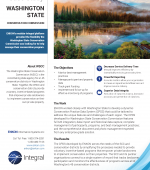 ENKON’s modular Integral platform provided the flexibility the Washington State Conservation Commission was looking for to help manage their conservation program.